We are reminded again that Singapore is the perfect place to shop from stores selling international brands to local stores or boutiques promoting local talents. Here in Singapore, departmental stores are very popular. Many people are shopping at departmental stores because of the wide variety of products to choose from. DFS Galleria is located in 25 Scotts Road. If you want a store that solely focuses on giving beauty products and services, you should head to DFS Beauty Hall. They will spoil you with their collection of well-known beauty brands like Giorgio Armani, Bobbi, Benefit, Kiehl’s, La Mer, Brown and many more. They have at least 50 beauty and cosmetic brands here. They are open from Sunday-Thursday (10am to 10pm) and Friday-Saturday (10am to 10:30pm). Takashimaya is located in 391 Orchard Road. It is a Japanese retail store that caters to rich consumers. They sell designer brands (like DKNY, Pucci, Armani, etc.) and other products like books, sportswear, hair and beauty, cosmetics, music and home decors. Aside from that department store, Takashimaya also offers spas, restaurants, gym, art gallery and drycleaners. They are open from 10am to 9:30pm daily. 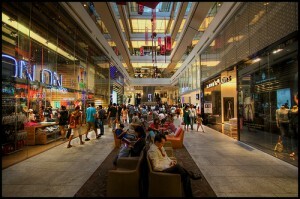 Robinsons is located in Orchard Road, Raffles City and Marina Square. They offer products like fashion clothing, beddings, sports gear, home wares and beauty products for the rich and the price conscious people. They are open from 10:30am to 10pm. Isetan is located in Shaw House, Katong, Tampines and Wisma Atria. It is a Japanese retail store that speaks of good service and reasonable prices. The store offers everything you need from furniture, perfume, clothing, electronics, kitchenware, appliances, toys, restaurants and supermarket. They are open from 10 am to 9:30pm daily. There are other departmental stores if this is not enough for you. Enjoy shopping and you are always welcome to come back for more.